Leipzig, J.C. hinrich'sche Buchhandlung. 1896-1913. 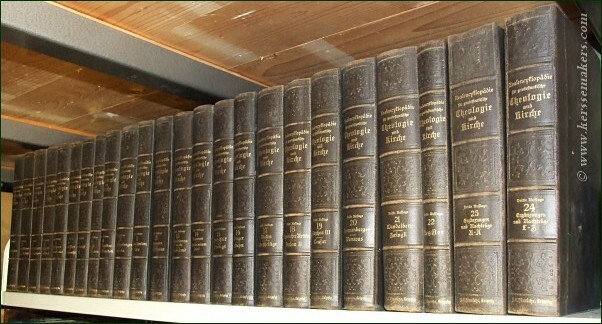 24 vols. including 2 supplementary vols and register. Half cloth, gilt. Together over 19.000 pp. ; 26 cm. Gothic (fraktur) script. - (sl. worn, corners sl. bumped, small stamp on rear title pages, sl. browned) Although good set of the best edition, see image.